Voluma XC is a hyaluronic-acid-based filler that also contains lidocaine (a numbing agent to make the procedure more comfortable). 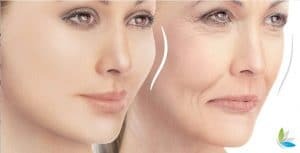 The aging process causes tissues in the middle of the face to become thinner, lose volume, and sag. This injectable gel corrects age-related volume loss in the cheeks and the middle region of the face. Voluma provides instant results that look natural, providing a smoother, more youthful contour that’s been clinically proven to last up to 2 years.